What is a Kansas Non-Disclosure Agreement? Kansas Non-Disclosure Agreement: What Is It? A Kansas non-disclosure agreement is generally signed by new employees. It is a way for businesses to protect confidential information. However, under state law, a Kansas non-disclosure agreement can only be used to protect actual trade secrets. The Kansas Uniform Trade Secrets Act, K.S.A. §§ 60-3320 through 60-3330 (2011), sets out the parameters of non-disclosure agreements and their use. 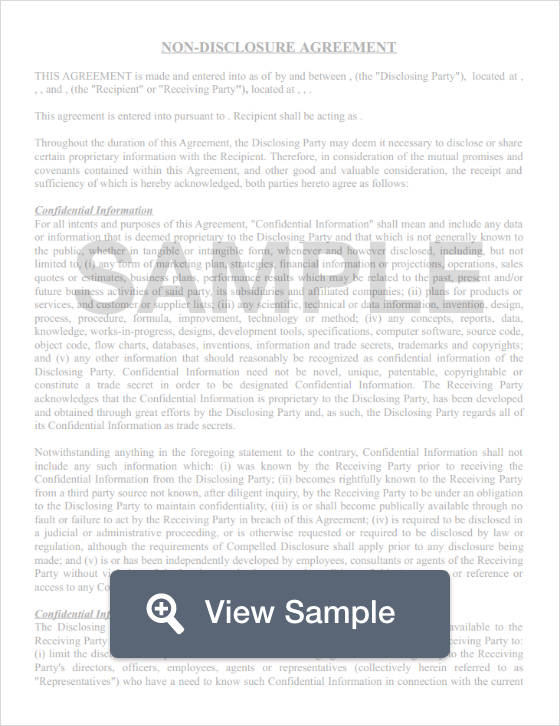 Confidential information is often referred to in a Kansas non-disclosure agreement as a trade secret. The Kansas Uniform Trade Secrets Act defines the term “trade secrets” as some type of information such as a formula, pattern compilation, program, device, method, technique, or process that holds actual or potential economic value for the business. It cannot be information that is available as public knowledge. It also cannot be information that is easy for others to determine and use. The business must also take reasonable measures to keep that information confidential. In addition to providing a legal description of a trade secret, the Kansas Uniform Trade Secrets Act also explains the relief that businesses may be entitled to receive if employees or contractors violate the agreement. Kansas non-disclosure agreements are most often used with Kansas noncompete agreements.